Throughout October we’ve been writing about Halloween and all of its spooky (and often silly) similarities to surveys. If you’ve missed these blogs, check them out here: 3 Things Surveys Have in Common with Halloween and Word: To maximize meaning, minimize space. It’s the season for scary stories and urban legends, but we do know that lots of people find building a survey truly frightening. We get it. There’s often a lot of pressure to craft the perfect survey to generate optimal results you can transform into action. Honestly, though, surveys don’t have to be scary! When you partner with SoGoSurvey, you have access to all of the resources you need to design and launch a successful survey. And it doesn’t stop there – we’ll also help you create high-quality reports with just a few quick clicks. Find the training and inspiration you need – direct from the experts! 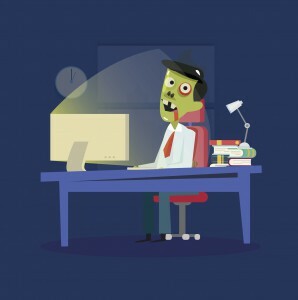 We’ve designed three training webinars that will take your surveys from scary to bootiful! Register or watch on demand for tips and tricks! Learn how to design and launch surveys and run reports, whether you’re just starting out or need a refresher. Don’t struggle with low response rates! Join in for easy-to-use ideas and best practices and watch rates rise by up to 300%. Choose the right reports to highlight the data you need, then customize, share, and present! Scary movie cliches offer more than just entertainment. We’ll run down 13 lucky tricks you can use to make your next survey project a treat! Our first priority is making sure you have the best survey experience. Our survey specialists are here to help and our User Guide, Videos, and Webinars are available online 24/7. So, when you’re ready to tackle your next survey, don’t be scared – we’ve got your back!